Find Better Ideas, Faster ® with a custom eco design trend report, our PRO Dashboard and 80+ categories of premium trend reports. 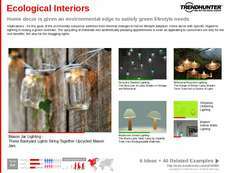 The Eco Design Trend Report is an expansive look into the newest trends in sustainable decor. 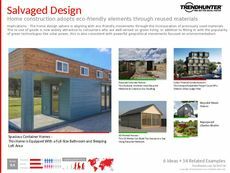 From assessing modern architectural techniques to eco-friendly furniture pieces, this report takes an industry-spanning perspective when assessing eco design trends. Furthermore, the concepts, designs and innovations featured in this report are reflective of the growing sector of environmentally mindful consumers. This report is catered towards architects, industrial designers, interior designers and furniture supply professionals. 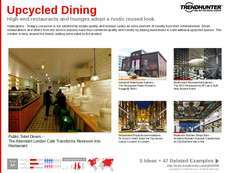 The trends in this report not only expand upon a growing pattern of sustainable design pieces, but greater insight into shifting consumer preferences will be made clear as well. 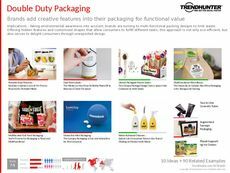 Use Trend Hunter's research to allow you to better connect to eco-conscious consumers by learning about brands -- both mainstream and niche -- that take inspiration from patterns in society to inform their business decisions.